At my school you are not allowed to have candles in your room or apartment under any circumstances. I understand why we can't have them, but was always a little bummed about it. I love when I walk into someone's home & it smells delicious & this has always been something I wanted in my home. To be honest I've never been a huge fan of room spray (I feel like I'm being choked by them), & I feel like air fresheners lose their fragrance super quick. 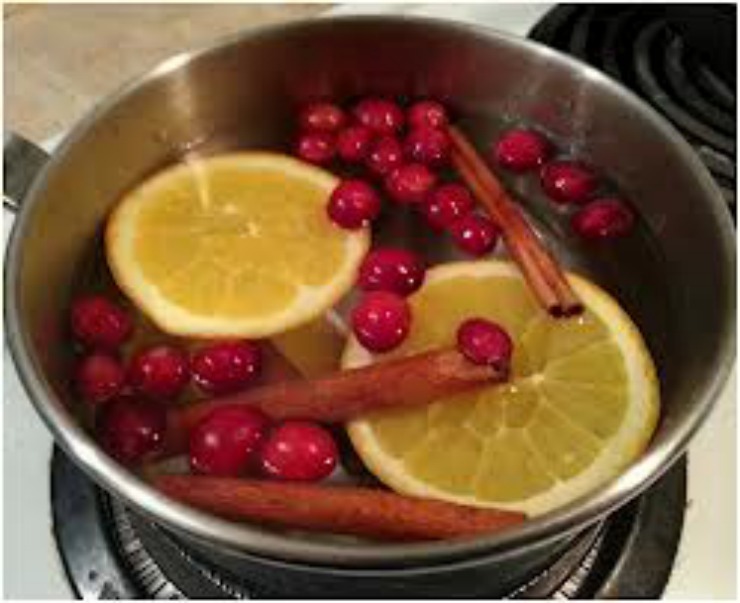 A few days ago when I was trolling through Pinterest, I came across a recipe for a stove top room perfume. When I came across it I remembered that years ago my cousin used to boil cinnamon sticks on her stove & it always smelled amazing. Last night I cleaned the kitchen & took out the garbage, & then noticed that my apartment smelled a little stale from the mixture of garbage & cleaning supplies scents, so I figured I would try a stove top fragrance. I filled my pot up about 3/4 of the way, & then added a few tablespoons of cinnamon, about a teaspoon of nutmeg, & a tablespoon of vanilla. This little mixture freshened up the air in my place & made it smell delish! I know this is a little random for here, but I've become obsessed with how great this is & wanted to share some recipes I found & the ingredients that smell the best to warm on your stove top. Fill pot with water about 3/4 of the way. Add the orange peels & cinnamon, mix. Bring mixture to boil & then allow to simmer for as long as you want or until water runs out. Cut lemon into slices. Fill pot with water about 3/4 of the way. Add the lemon, rosemary, & vanilla, mix. Bring mixture to boil & then allow to simmer for as long as you want or until water runs out. Cut lime into slices. Fill pot with water about 3/4 of the way. Add the lime, thyme, & vanilla, mix. Bring mixture to boil & then allow to simmer for as long as you want or until water runs out. Cut orange into slices. Fill pot with water about 3/4 of the way. 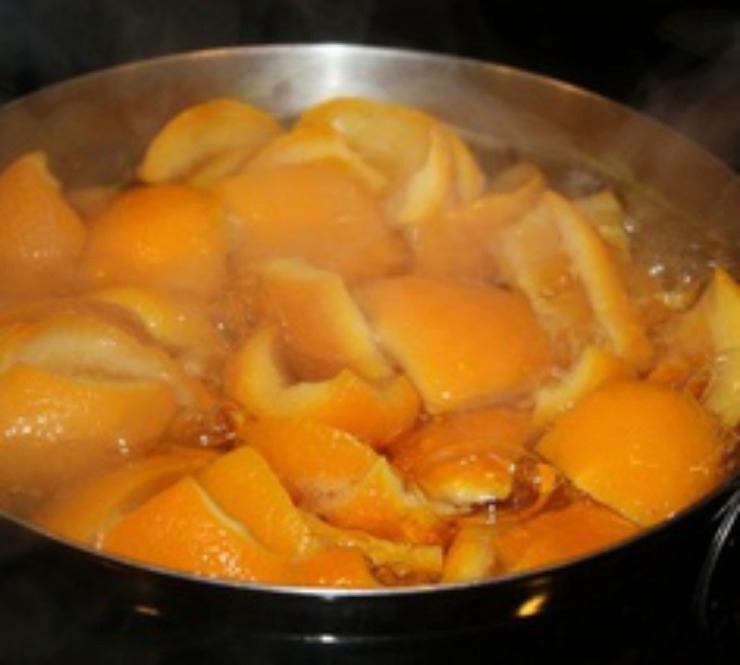 Add the orange, cinnamon, & almond extract, mix. Bring mixture to boil & then allow to simmer for as long as you want or until water runs out. Citrus fruits: lemons, limes, oranges, etc. Extracts: almond, vanilla, mint, etc. Spices: cinnamon (sticks or powder), cloves, nutmeg, etc. You can find more recipes here, where I found some of my recipes. Have you ever tried a stove top fragrance? Great post! I really need to try these recipes, because I get really frustrated at how quickly the air fresheners run out. Thanks for sharing.